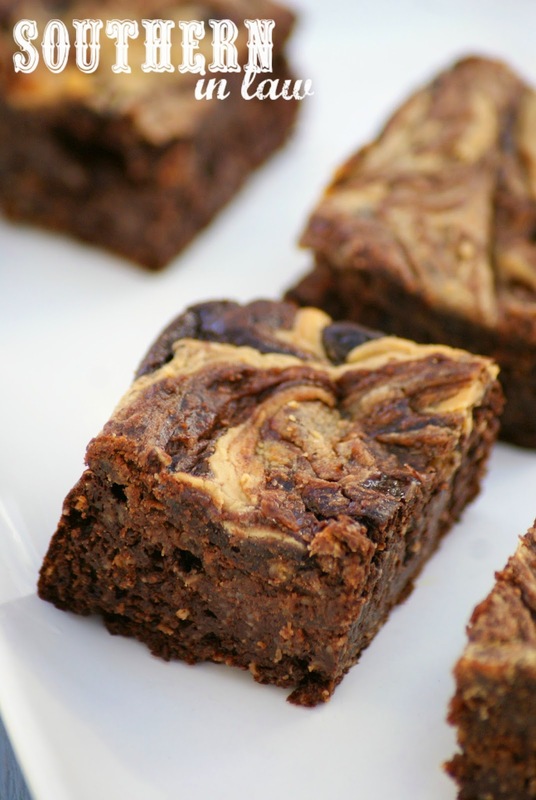 This Healthy Peanut Butter Swirled Brownie Recipe actually came about from a random clean-out-the-fridge quest early last year. You see, I had an open tub of chobani that needed to be used up, my weight in oats (thanks to an overzealous iHerb order that was made before checking my oat stash :P) and a serious brownie craving. Since that day, we've made these brownies time and time again - but I've never shared the recipe until now. Why? I have no idea! Perhaps because they're not traditional brownies - but that's hardly a reason not to share them as they are seriously delicious and one of our favourites - so I knew I had to share them with you today! 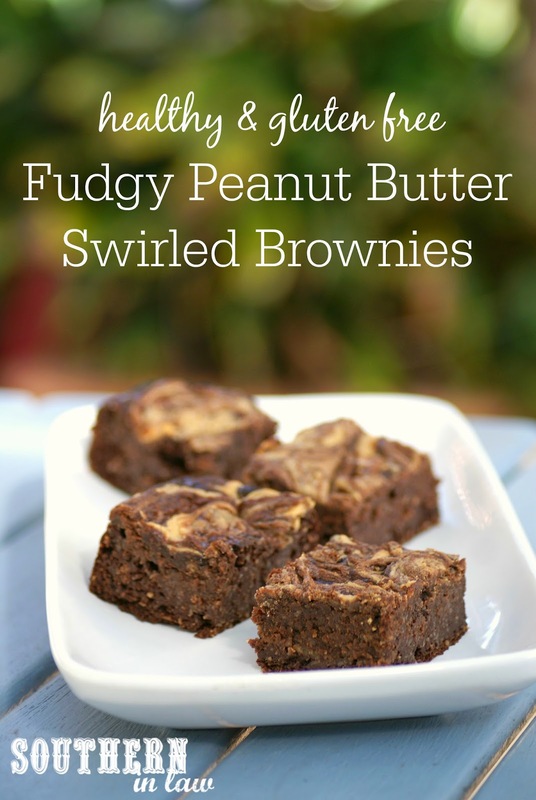 These brownies are thick and fudgy, with crisp edges and a deeeeeeeeeelicious peanut butter swirled top. They're quick to make, super healthy (though you'd never know) and freezer friendly too.... but good luck keeping any around to freeze as they'll be gone in a flash! best made in a smaller 6x6" brownie tin for thick brownies! Grease and/or line a 6x6" baking dish or 8x8" baking dish (your brownies will just be thinner but still delish!) and set aside. Mix together your wet ingredients (yogurt, milk, egg and vanilla) and sugar. Add in your cocoa powder, mixing until just combined. Next, add in your oats (or flour, see notes below for non-oat options), baking powder and salt, mixing until just combined. Pour your brownie mixture into your prepared tin. If you peanut butter is quite solid, melt it over a low heat until you're able to drizzle it. 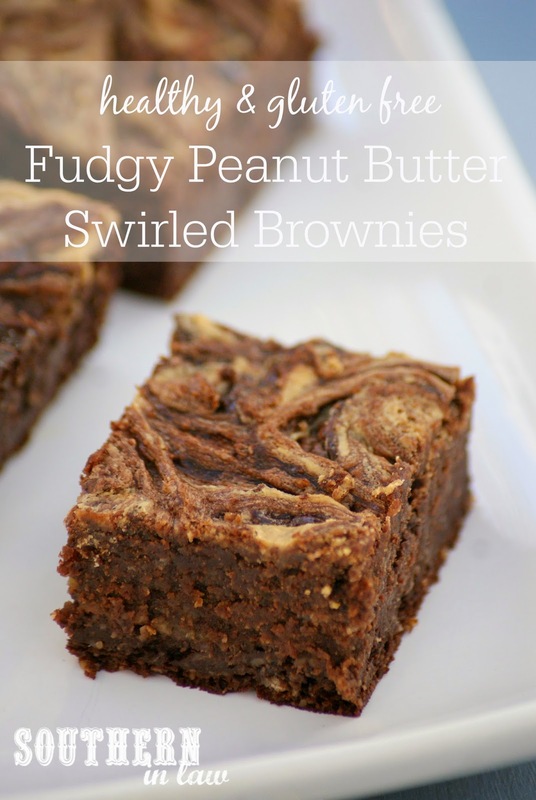 Drizzle your peanut butter all over the top of your brownie batter, swirling the peanut butter mixture with your brownie batter with a knife to create a swirled pattern. Bake for 15-25 minutes or until your brownies are cooked through and a skewer inserted into the middle removes clean. Allow to cool completely before slicing (it actually makes it even easier to slice them cleanly if you chill them in the fridge first). Store in an airtight container at room temperature or chilled in the fridge (we like these ones cold - but the choice is yours!). *Find out more about Oats on a Gluten Free Diet here. If you can't tolerate oats, feel free to use 1/2 cup gluten free flour instead. We've also used the same amount of cooked rice which gives you a different texture but still tastes awesome! **You can use full fat, low fat or fat free greek yogurt - all work perfectly! ***Use more/less depending on how sweet you like your baked goods! But tell me, what's one recipe you make again and again but never seem to share with others? And how do you like your brownies - chewy? fudgy? cakey? I never think healthy and brownies in the same sentence. At least until I read this post. I want to make these soon. You'll have to let me know what you think, Maureen! We love them! I have a similar protein version of this recipe. Peanut butter and chocolate is a match made in heaven in my opinion, yum!